Griffin Auto Care, Inc. is your one-stop source for off-road 4 x 4 Truck Lift Kits and 4×4 parts, installation, and service. Featuring all of the top brands and more. Trust Griffin Auto Care, Inc. for all of your suspension, performance, wheel and tire needs. 4 x 4 Truck Lift Kits? Go big with a lift kit or load up with air bag helper springs. We install complete lift and lower kits, springs, shocks, and more. Griffin Auto Care, Inc. can handle all of your suspension installation needs. We install all major brands of lift and lower kits, suspension, and shocks. Bring your vehicle to us to get the car or truck that you want. Get instant boosts to power, acceleration, fuel economy, and overall performance out of your engine with our line of aftermarket air intake, upgraded turbos, exhaust systems, computer chips, programmers, and other performance parts. Let us help create the vehicle that you have always wanted. Our knowledgeable staff can help you to get that edge and feel that you have always wanted in your car or truck. We offer expert installation and can help you design your next street or off-road vehicle. With truck tires in all terrain, mud terrain, track and competition, everyday driving, professional grade, and race tire designs, Griffin Auto Care, Inc. tires offer performance in any situation. 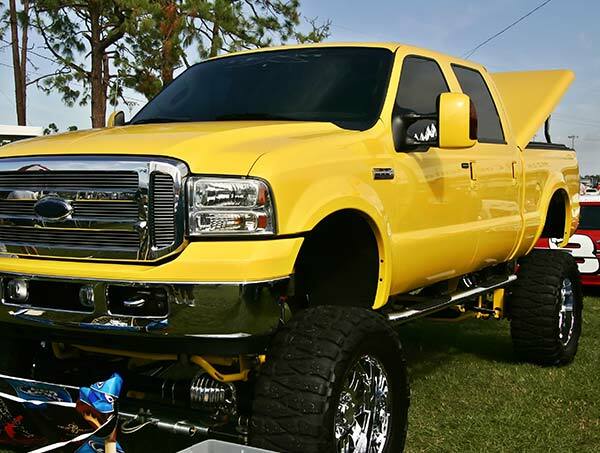 We offer the best truck tires around using all top brands that perform and give your vehicle a finished look. We are a full service shop offering 4 x 4 Truck Lift Kits repair, replacement, and performance upgrades to your vehicle. Our shop carries all major brands and we can help you create your dream vehicle. Axle replacement, axle service, and axle kit upgrades are available at our shop. We offer hub kits and hub conversion kits and can service your stock hub systems. Replace worn-out wheel bearings and let us keep your vehicle running smoothly. Replace your differential with a high performance model. We carry differential covers, differential gaskets, and axle protectors for your vehicle. Get great deals on the brand name lift kit or leveling kit you need to upgrade your vehicle. Call to get a competitive quote on the Rancho lift kit, TeraFlex leveling kit, or other brand name kit you want. Our service team is ready to get your ride in and out of our shop looking its best. Choosing the Right Lift or Leveling Kit at Griffin Auto Care, Inc.
We carry competitively-priced lift kits from the industry’s biggest brands. Ask about installing a Pro Comp lift kit, Daystar leveling kit, Rubicon leveling kit, and more.